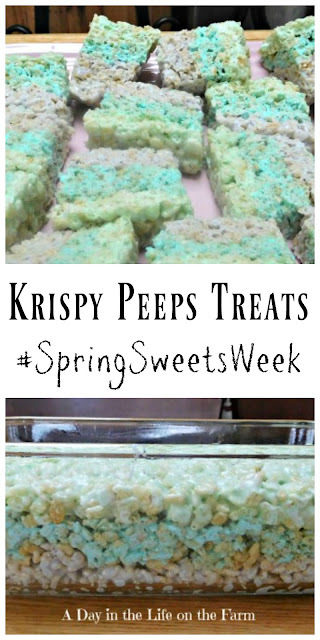 Enjoy a Springtime version of your favorite marshmallow krispy treats by swapping out pastel colored Peeps for the marshmallows. Welcome to #SpringSweetsWeek 2019 hosted by Heather from Hezzi-D’s Books and Cooks and Christie from A Kitchen Hoor’s Adventures! What better way to celebrate the coming of spring than with food and a fun giveaway? 30 bloggers from around the country have come together to share over 100 sweet recipes perfect for spring! Get ready to ditch your hats, coats, and snow boots and get ready for some delicious sweet treats like cupcakes, cookies, sweet breads, and cocktails! Our #SpringSweetsWeek sponsors are helping us give away some great prizes. Thank you so much Swiss Diamond, Dixie Crystals, Nancy’s Yogurt, Sprinkle Pop, Adams Extracts, Barleans, Melissa’s Produce, and PEEPS® for your generosity. We have an incredible giveaway and you can find out all about at my Welcome Post and enter to win at the bottom of this post. 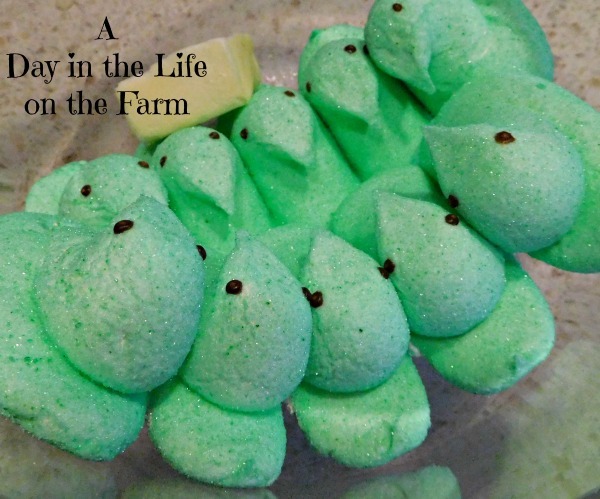 Today I am sharing a recipe that I made using Peeps instead of traditional marshmallows. Peeps provided me with several packages of chicks and bunnies for this event. I used the packages of chicks for this treat. 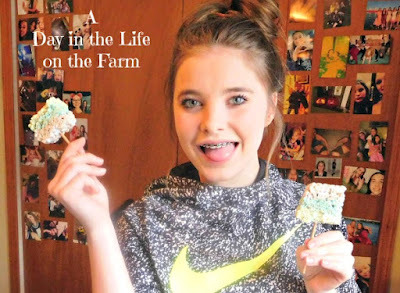 This easy peasy recipe is none other than that iconic dessert called Marshmallow Krispy Treats. It takes a bit longer because we are making 3 separate small batches so that we get the rainbow effect. Instead of putting it into a baking pan we are going to layer it into a loaf pan. Everybody loves Krispy treats and these rainbow treats made with Peeps chicks are sure to be a hit with your whole family. Place 1 Tablespoon butter and 1 package of Peeps into 3 separate bowls that can be placed in the microwave. Microwave the first bowl on high for 30-45 seconds, until the peeps have expanded and softened and the butter has melted. Remove from microwave and stir until smooth. Add 1 1/2 cups of crispy rice cereal and stir to combine. Layer into the bottom of a loaf pan that has been treated with baking spray. Repeat this process with the next two colors of Peeps. layering over the previous color. When cooled and set, slice the loaf into eight pieces. Cut each of the pieces in half making 16 servings. Serve on a platter or insert a skewer making Peeps Krispy Pops, if desired. I love the layers! The results are definitely worth the effort of making more smaller batches! How fun to use PEEPS in the treats! These Peeps treats are too fun!! I love all the layered colors! Krispie treats are so fun, and how clever using PEEPS marshmallows and layering them! This is a fun way to use PEEPS! The colors turned out so pretty. What a great rainbow effect! How fun! I love the layers, it turned out really pretty. Wow, who knew PEEPS were so versatile? I was pleased with how well they turned out April. These are so fun! I love the different colored layers. So cute and tasty! Fun treat! Thanks Karen, the adoption will be finalized on April 12. We're very excited. How festive and fun! I have plenty leftover so I could easily make these. They were fun. I will make them again.